These delicious treats are salty and sweet with lots of great crunch. 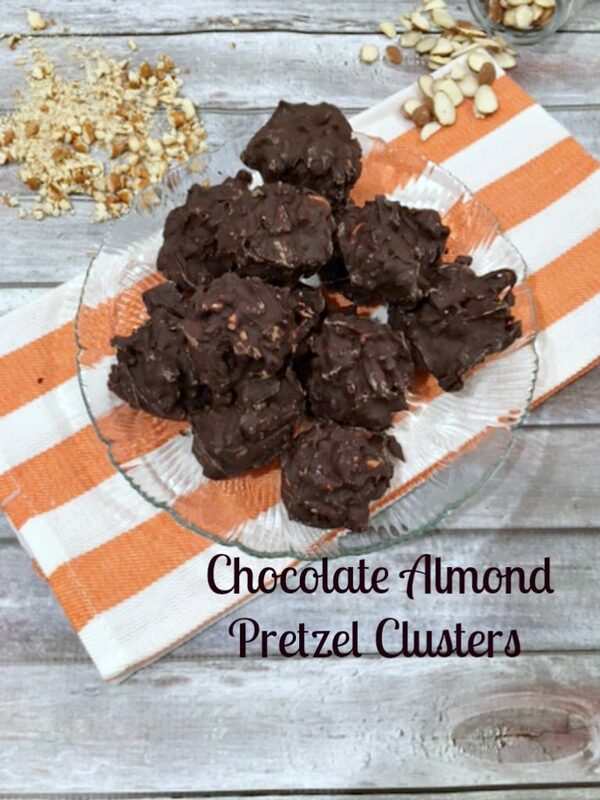 Easy to throw together when you are craving chocolate and something salty. A big crunchy yum! Don’t forget to see our video at the bottom of the recipe on how I made these. Melt 8 ounces of chocolate over double boiler until smooth and glossy. Take off heat, add in the last 4 ounces of chocolate and mix until completely melted. Gently toss in pretzels and nuts. With a medium ice-cream or cookie scoop, make 15 clusters on a chilled cookie sheet lined with parchment paper. Place in fridge until set, about 30 minutes. Store in fridge up to 5 days or on counter for up to 1 day. May get too soft on counter. When you take out of fridge leave out for a few minutes to soften up just a bit.